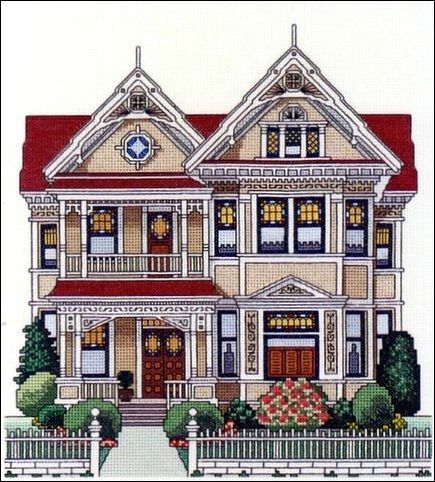 is a turn-of-the century Queen Anne that was built near Ferndale, California. This house is currently a private residence. The main colors in the design are wheat and deep red with white. Stitch count is 140w x 150h.